Organosulfur compounds from garlic effectively inhibit growth of transplanted as well as spontaneous cancers in preclinical animal models without any adverse side effects. However, the mechanisms underlying anticancer effect of this class of compounds are not fully understood. 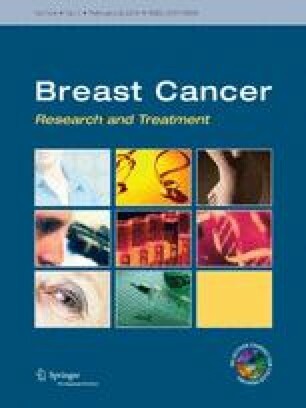 This study reports, for the first time, that garlic organosulfide diallyl trisulfide (DATS) inhibits estrogen receptor-α (ER-α) activity in human breast cancer cells. Exposure of MCF-7 and T47D cells to DATS resulted in downregulation of ER-α protein, which peaked between 12- and 24-h post-treatment. DATS was relatively more effective in suppressing ER-α protein expression compared with its mono and disulfide analogs. The 17β-estradiol (E2)-induced expression of pS2 and cyclin D1, ER-α target gene products, was also decreased in the presence of DATS. Downregulation of ER-α protein expression resulting from DATS treatment was accompanied by a decrease in nuclear levels of ER-α protein, ER-α mRNA suppression, and inhibition of ERE2e1b-luciferase reporter activity. DATS-mediated inhibition of cell viability and apoptosis induction were not affected in the presence of E2. In agreement with these results, ectopic expression of ER-α in MDA-MB-231 cell line failed to confer any protection against cell proliferation inhibition or apoptosis induction resulting from DATS exposure. DATS treatment caused a decrease in protein levels of peptidyl-prolyl cis–trans isomerase (Pin1), and overexpression of Pin1 partially attenuated ER-α downregulation by DATS. DATS-induced apoptosis was modestly but significantly augmented by overexpression of Pin1. In conclusion, this study identifies ER-α as a novel target of DATS in mammary cancer cells. The authors thank Dr. Yi Huang (University of Pittsburgh Cancer Institute, Pittsburgh, PA) for generous gift of MDA-MB-231 cells stably transfected with ER-α plasmid and corresponding empty vector transfected control cells. This investigation was supported by USPHS grant RO1 CA113363-09, awarded by the National Cancer Institute of the National Institutes of Health. This research project used the Flow Cytometry Facility supported in part by the Cancer center Support Grant P30 CA047904 from the National Cancer Institute of the National Institutes of Health. The funder had no role in study design, data collection and analysis, decision to publish, or preparation of the manuscript.